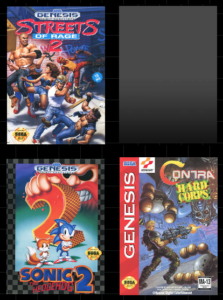 Sega has released the titles of 10 more games coming to the Genesis Mini coming September 19. Andrew and I took the time to come up with 30 games we would like to see on this console. So where do these 10 games line up with our predictions? Well, the image to the left are the 3 games of the 10 that either both of us or one of us predicted. Streets of Rage 2 and Sonic 2 were both really safe bets. Andrew listed Contra: Hard Corps. That was it for titles on our lists. So what other games did Sega reveal that are coming to the Mini? The big news recently is that Sega is finally ready to launch their true competitor to Nintendo’s NES and SNES Classic consoles. 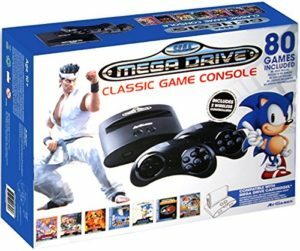 While it is true that Sega has licensed out their console brand and game libraries to At Games in the past for a retro console experience, those offerings were plagued with terrible controllers and emulation. 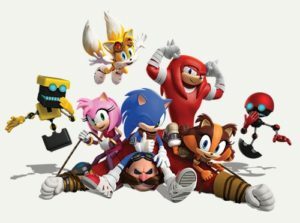 In response, Sega pulled the development of their latest retro console experience in-house and will release it this year on September 19th. However, much like Sony, Sega is holding some of its cards close to its chest. 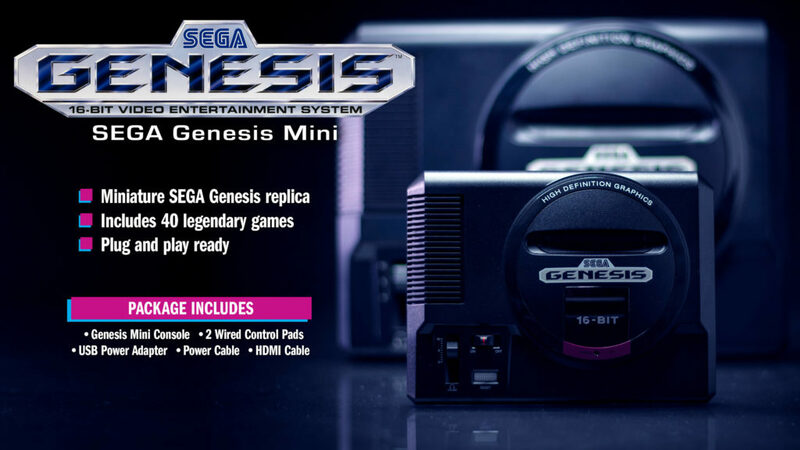 While we know that we will be getting a Genesis 1 formatted console and two of the 3-button controllers with HDMI output for $80, we only know 10 of the 40 announced games. Those games are Ecco the Dolphin, Castlevania Bloodlines, Space Harrier II, Shining Force, Dr. Robotnik’s Mean Bean Machine, ToeJam & Earl, Comix Zone, Sonic the Hedgehog, Altered Beast, and Gunstar Heroes. Molehill Mountain Episode 54 – Atari’s Back!!! By request, we’ve kept our pre-show banter in the video version of the podcast. You can skip ahead to the start of the show proper (or another topic) with the timestamps below. In the show’s final half hour, Andrew and Zachary discuss the future of AR games the cost of living in San Diego. 8:54 – We finally start the show! 37:14 – Atari is introducing new gaming hardware. What do we think it is? We know it’s hard to fall asleep at night until you know what Andrew and Zachary discussed on the previous weekend’s podcast so, here you go. Rest now, friends. EZK and I start out this week’s podcast talking about comic books, cause why not? We then continue Kicking the Bucket List, revealing super interesting things about ourselves such as whether we’ve ever been in the back of a police car and which celebrities we’ve met (14:40) and finally discuss how Sega and Capcom earned internet cookies this week by, respectively, not DMCA-ing a fan game and announcing no microtransactions in Resident Evil VII (44:40). Positive feedback is a wonderful thing but are our expectations of the AAA game industry really so low that we celebrate companies simply for not doing the things we hate? YouTube COPYRIGHT INFRINGEMENT appears! SEGA used TACT! It’s super effective! Remember when Sega was yanking gameplay videos of Shining Force off of YouTube? Even videos where fans were merely discussing the game were getting flagged for copyright violations. If you missed Saturday’s live broadcast of Super Podcast Action Committee (Episode 149), you can watch the video replay on YouTube, to your left, or download it below. On this week’s show hosts Andrew Eisen and E. Zachary Knight discuss the latest GamePolitics poll (“Are game journalists or game publishers more ethically challenged? ” – 42:46 mark), Tale of Tales exiting the games industry with a heaping helping of anti-violent games rhetoric (55:02), the rumor that the NX starts manufacturing in October (1:22:07), and Sega admitting it has betrayed fans (1:25:42). SuperPAC Episode 149 (170 MB – the show was live so it is made available in its raw, unedited format). As always, you can subscribe to the show on iTunes and use our RSS Feed to add the show to your favorite news reader. You can also find us on Facebook, on Twitter @SuperPACPodcast and Google +. You can send us feedback on the show by dropping a note to superpacpodcast@gmail.com. If you missed Saturday’s live broadcast of Super Podcast Action Committee (Episode 132), you can watch the video replay on YouTube, or download it below. On this week’s show hosts Andrew Eisen and E. Zachary Knight discuss the latest GamePolitics poll (“Should Nintendo buy Capcom or Sega?” – 28:58 mark), Zenimax sending a cease & desist letter to Fortress Fallout’s developer (50:00), and Comcast balking at California’s conditions for its merger with TWC (1:00:38). SuperPAC Episode 132 (103 MB – the show was live so it is made available in its raw, unedited format). If you missed Saturday’s live broadcast of Super Podcast Action Committee (Episode 114), you can watch the video replay on YouTube or download it below. SuperPAC Episode 114 (1 hour, 14 minutes) 93 MB (the show was live so it is made available in its raw, unedited format).